National Night Out: Join us at Top Foods (1605 SE Everett Mall Way) on Tuesday - August 3rd, from 5pm to 8pm. The Everett Police Department invites you to join us for National Night Out 2010! The event is designed to strengthen community spirit and let criminals know that Everett doesn’t tolerate crime. National Night Out highlights crime prevention techniques and provides excellent information. 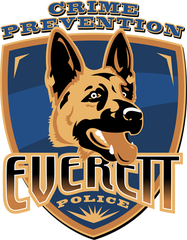 City of Everett and Police services will team up with local businesses to present over 60 educational booths. Stop by each one for a resource to fight crime. Don’t forget the free food! Hotdogs, pizza, ice cream, bread and drinks are available. Join us in the Top Foods Parking Lot (1605 SE Everett Mall Way) on Tuesday - August 3rd, 2010 from 5:00pm to 8:00pm.